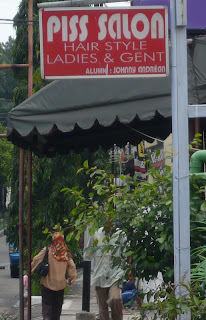 I've read a few articles lately all about salon names, and the question does the name of the salon really affect the business? I really think the name makes a huge difference along with the interior (and also exterior!) First appearances count for a lot in the hairdressing world. I mean would you want to pop into these places for a cut and blowdry? 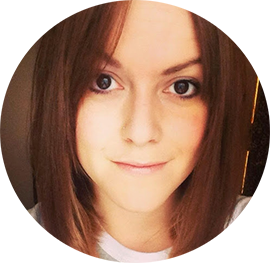 Do you think you'd be troubled with staff strikes halfway through a cut? Doesn't feel you with confidence does it? And my personal favourite (and I think a few others!) 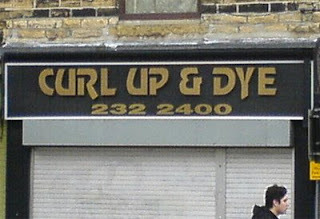 Curl Up & Dye. Genius. I salute you shopowner. 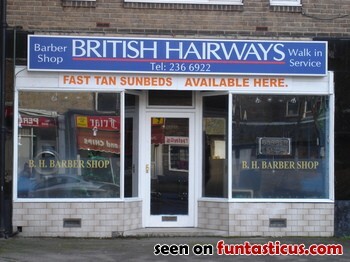 Have you got any funny shop names near you? 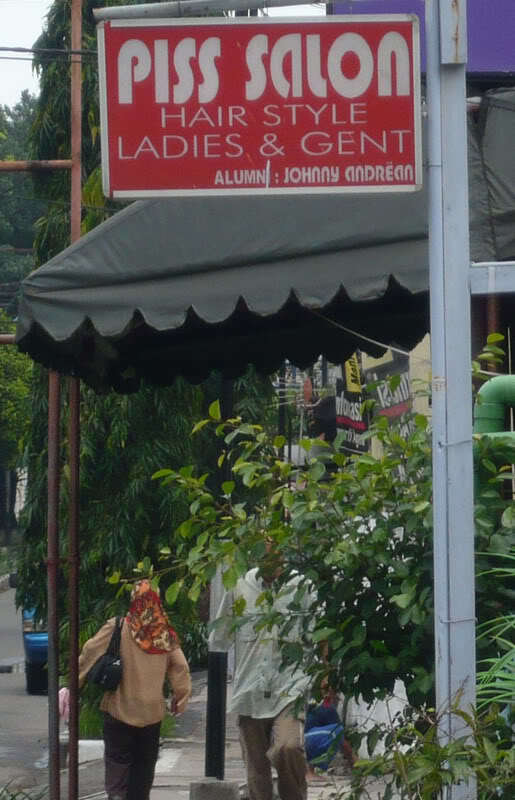 and does the look and name of a salon make up your mind? I hope you achieve your dream! I think its not just the name of the place, but also the outside...because it may be nice inside but its got to look nice to bring you in!!! 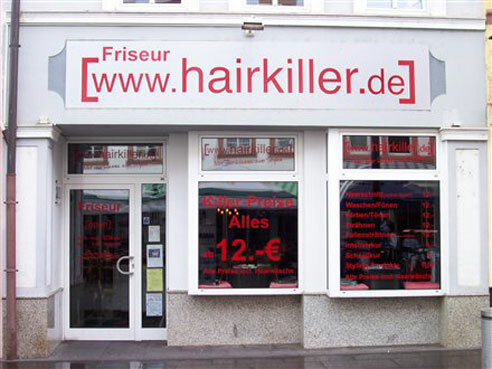 Fingers crossed you get your dream salon :) Those shops look like they would produce a haircut that nightmares are made of, certainly not dreams!! We've got a salon called 'Hairport' just around the corner. 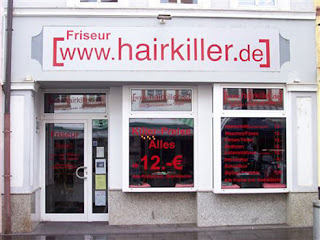 I'd definitely go to 'Curl up & dye' but I think I'd stay well away from 'Piss Salon' & 'Hairkiller'.